Fashionable looks that fit your style. Riding and sporting apparel. Quality feeds, pet supplies, tack and unique gifts. It’s much more than a feed store. Our super knowledgeable staff is always pleased to help customers find exactly what they need. Established in 1978, Tri-County Feeds, Inc. specializes in serving the equine industry by providing quality products, services and delivery to Northern Virginia, West Virginia and Montgomery County, Maryland. Bill Jackson started this company by delivering paper bedding in his pickup from his brother's garage. He admits, with a grin, that some of his first customers may have bought from him primarily because they were tired of seeing him knocking at their door. Shortly thereafter, Tri-County was awarded an exclusive dealership by Pennfield Feed Technologies, a premier feed manufacturer located in Lancaster, Pennsylvania. In 1980 Tri-County Feeds moved to 4238 Frost Street, in Marshall, Virginia. It didn't take long for Bill to figure out that if customers need horse bedding and feed, they might need a few other items. Under his salesmanship, the 700 sq. ft. retail, limited warehouse and one loading bay became the biggest little feed store in Northern Virginia. Loyal customers, confident of the knowledgeable staff and reliable delivery, continued to ask for new products and services. Bill and his family listened. In order to do right by their customers, plans were drawn for a 12,000 sq. ft., three-story, post and beam retail structure attached to a 12,000 sq. ft. warehouse with 14 loading bays. 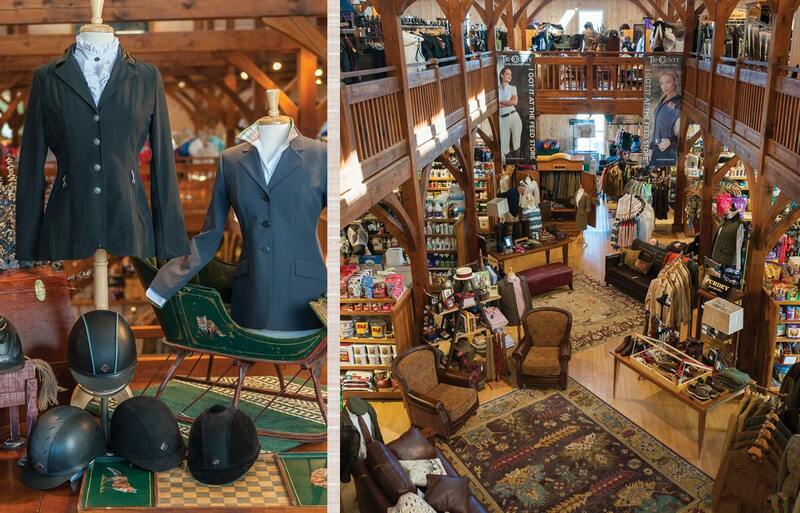 This one-of-a-kind retail space offers a wider variety of goods and services that encompass the equine and companion animal market, as well as the equestrian enthusiast, the animal lover and their families. New product lines include tack, equestrian riding equipment and clothing, home and stable furnishings, gifts, books, toys, dog and cat care, and more, under one roof. In addition, the new facility allows loyal customers and their families to enjoy the use of Tri-County's library/media/conference room. Be the first to know about upcoming events and special promotions. We never share your address and you can opt out at any time.